It is a shame to see that so many miss their regular dental check-ups since the dentist can actually uncover some really important clues about a patient’s overall health. Both periodontists and dentists care about much more than just your teeth. Your entire oral health is analyzed and when some problems are noticed, patients will know about it. Here are some conditions that dentists at Colorado Healthy Smiles Dentist Offices can identify during routine check-ups. Those that suffer from both Type 1 Diabetes and Type 2 Diabetes are likely to end up having to also deal with gum disease. This is due to the body’s decreased ability to properly fight the bacterial infections that could appear inside the mouth. Also, serious gum disease makes it more difficult to control blood sugar. If dentists see patients that have some symptoms (usually frequent gum swelling and abscesses), together with gum disease not responding to regular treatment, it is possible that diabetes is present. Also, if diabetes runs in the family, dentists tend to recommend more frequent office visits. One of the very first signs that someone suffers from oral cancer is a white or red spot present inside the mouth, or a sore. This can appear on the tongue, gums, cheek lining and lips, among other mouth parts. Patients cannot notice this since the spot is small, often located right in the back of a mouth or under tongues. Other symptoms do not appear. 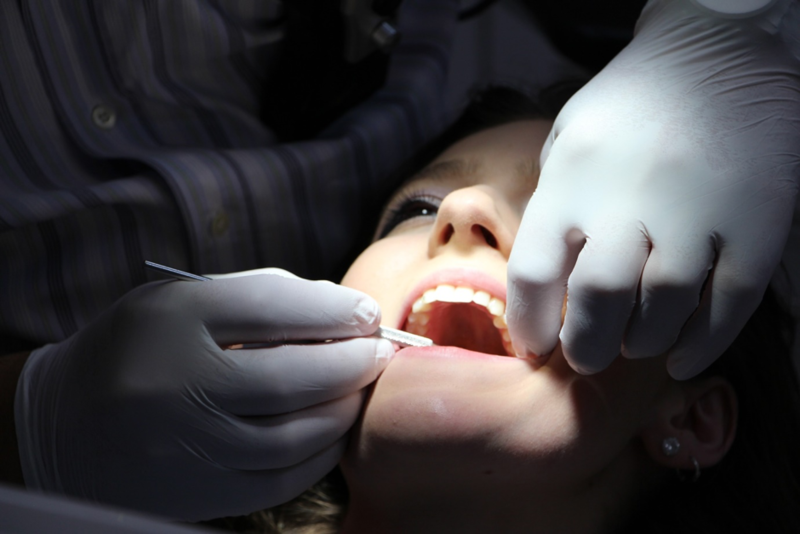 Dentists often screen for signs of oral cancer. This is a part of the regular exam. Schedule the regular check-ups and you automatically increase the possibility that precancerous or cancerous lesions are going to be identified. Early diagnosis is crucial for successful oral cancer treatment. Did you know that dentists can tell you if you are way too stressed? This is because for many people teeth end up being chipped or worn out due to unconscious clenching or grinding. Grinding can cause bone loss. Dentists easily detect this on X-rays. Bruxism is very often linked to stress but this can also appear because bottom and top teeth are not properly aligned. Teeth grinding is something you might not even be aware of but the dentist will easily notice all the signs associated with such a condition. Gum disease can increase risks of strokes and heart attacks. The dentist has to be aware of the presence of cardiovascular diseases and needs to know when the family history includes such conditions. The great thing is that when you treat gum disease, mouth inflammation is reduced. This actually lowers heart attack risks. The examples given above are just some of those that could be mentioned. The dentist can easily tell you a lot about your overall health just by looking at your teeth. This is why you absolutely need to follow regular dentist check-ups. Remember that most of the conditions that would be identified by dentists are much easier to treat when diagnosed at an early stage.